There are two shots from the outside of the flat. One at the entrance door in The Nutshell and another one from opposite Steed's huge living room window in The Gilded Cage. 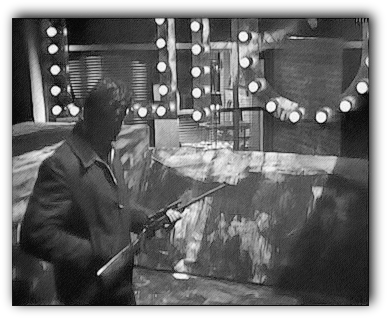 But the last one is a continuity error, as there is no building close to Steed's flat visible from Steed's living room in other episodes. 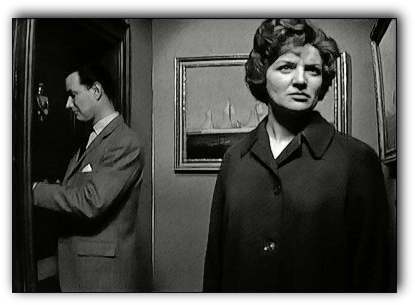 Above: Outside Steed's flat in The Nutshell. The painting with the ship that hangs opposite Steed's entrance door can later be seen hanging at the place of the woolie in Death of a Batman. Steed standing at his entrance door in The Golden Fleece. The oil painting of the ship is gone. 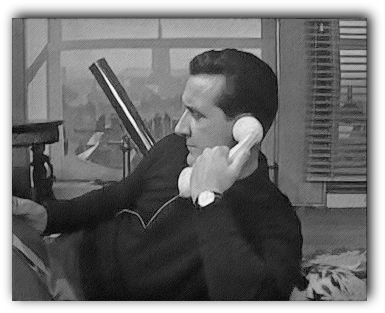 Left: Steed on the sofa in front of the bullet-proof glass windows. Right: View from the opposite direction to Steed's living room window towards Steed's flat in The Gilded Cage- this view is not possible, because there definitley is no building in front of the flat. 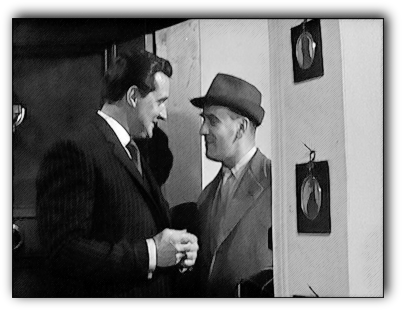 Patrick Macnee said the windows were overlooking Parliament Square, "offering one of the best roof-top views in London" (Meet the Avengers, Star Special 15). This is correct for Flat no.3, but not for this one.